We all know the pace of life is becoming ever more hectic, feeling relaxed and recuperated is just as important as looking your best. The main aim of The Tranquility Room is to provide a relaxing place to unwind, where you can enjoy a choice of professional treatments and client care options. 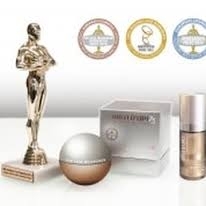 With 7 Plant Hormones and 5 different types of Plant Stem Cells this is our most advanced anti ageing Facial from award winning skin care company Mila D'Opiz. Leaves the skin visibly smoother, firmer and with a dewy youthful glow! signs of ageing. The products and treatment use a highly concentrated and effective plant complex, "Phyto 4.7" which includes 7 different plant hormones such as wild yam and black cohosh and two different plant stem cells, Uttwiler Spatlauber apple and comfrey. The Phyto gold essence used in the facial and hand treatment also contains colloidal gold. The salon treatment is £45.00 and is supported by 3 retail products: Phyto De Luxe moisturising lotion, Phyto lift cream and Phyto lift cream sensitive. Prescription Facial: Using a range of cleansers, creams and masks specially chosen for your skin. Swiss Serum Facial: Using a choice of creams, cleansers and masks, with applications from Mila D'Opiz new and innovative concentrates to give a longer lasting result. Carefully selected to suit each individual client. Collagen Facial:The most intensive long lasting collagen treatment available, and incorporating the Mila Concentrates. Moisturises, refines and smoothes the skin whilst reducing superficial lines. Luxury Essentials Facial: Using deep penetrating concentrates and a specific mask in order to reach a high level of absorption. The facial has a pleasing cooling effect, leaving you with an 'under the skin' sensation that the treatment is still working. Essentials Cell Tox facial: With this treatment wrinkle depth is reduced and facial contours are visibly firmer. Skin Refine Luxury Facial: Using a fantastic range of products, which are all high in minerals from the glacier water of Zermatt. A revitalising elixir for the skin, which leaves you with an amazing feeling of wellbeing! Skin Refine Facial with Lifting Eye Treatment: A combination of our luxury skin refine range and micro lifting eye treatment. This will leave you looking wide awake, ready to go and completely fresh. Skin Clear Purifying Treatment: Perfectly designed to treat oily, difficult and impure skin using a highly effective choice of products such as the very latest plant mask. This facial treatment will rapidly calm, nourish and refine the skin, leaving it looking healthy, fresh and vibrant. Swiss Vital Vitamin C Facial: After deep cleansing and the application of Vitamin C serum, your skin is then gently massaged with Q10 Vitamin cream, giving you a renewed, revitalised and fresh appearance. The facial concludes with a warm and gentle Vitamin C mask which provides an underlying plumpness, leaving the skin looking truly youthful. 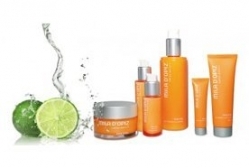 The Vitamin C Power Plus Facial: This treatment incorporates all the benefits of The Vitamin C treatment with the addition of Vitamin C Capsules, The facial can be adapted by using different Skin Vital Creams to treat a variety of skin conditions. Swiss Lifting Eye Treatment: Using a combination of micro lifting treatment, drainage massage and specific eye products from Switzerland. This is a brilliant treatment for heavy tired or irritated eyes. 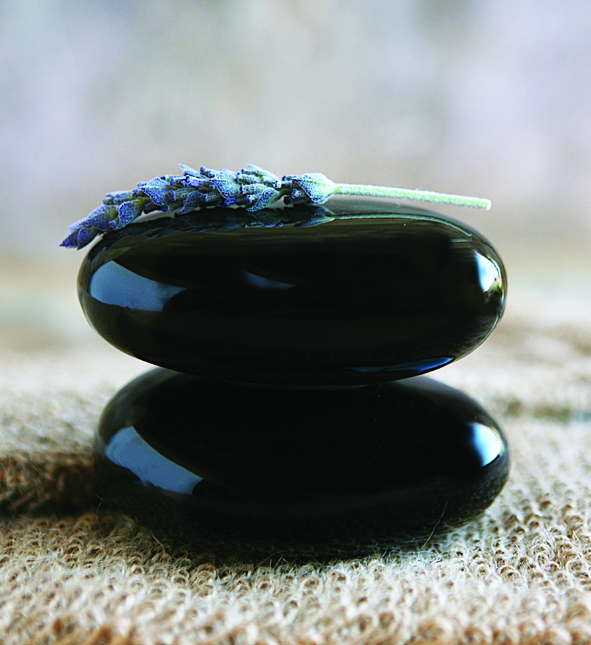 High Frequency A calming and healing treatment for acne and troublesome skin. This can be added to your normal Mila D'Opiz facial. Mila D’Opiz & Microdermabrasion All the Mila D’Opiz facials can be combined into the below mentioned microdermabrasion treatment, for an even more effective, longer lasting result. 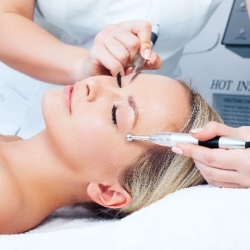 All the Mila D'Opiz Facials include a complimentary eyebrow shape and hand or foot massage. Dermalift Non-Surgical Face Treatment Mirco-currents gently stimulate the areas which seem to be losing their youthful radiance and resilience. Why not discover a younger looking you? A course of treatments is recommended. Dermalift with Cell Tox A non-surgical facial with the added benefits of cell tox serums and cream! 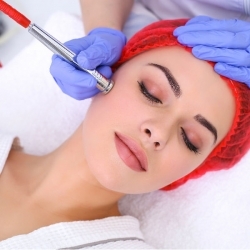 We are happy to now be able to offer microdermabrasion treatments to our existing portfolio. Having spent time carrying out essential training for this innovative addition, the results are really proving to be quite amazing. This will be offered as a standalone treatment, but can also be incorporated into your Mila D'Opiz facial treatment. We are achieving fantastic results with our new Microdermabrasion treatment. It is particularly effective when combined with one of our advanced Mila D'Opiz facials, especially the skin refine wrinkle reduction treatment and luxury essentials facial. All Mila facial treatments accomplish exceptional results, but when combined with the diamond microdermabrasion it takes them onto a different level! Your skin will look smoother, toned, clearer and fresh. Open pores look much more refined, and even acne scars will appear reduced after just one treatment. It doesn’t stop here, as we will help pamper you with uniquely designed body treatments and special care services for both your hands and feet in our Tranquility room, Littleborough, Lancashire. Why Not Treat Yourself or a Friend? Want to treat somebody to something really special? Why not buy a gift voucher for a treatment? Contact us today to book an appointment or to find out more about our gift vouchers. All major credit and debit cards are accepted. A minimum of 24 hours' notice is required for cancellations or a charge will be incurred. Book your appointment today by calling on 01706 377 836 or 07764 254 985.